“To deny children the opportunity to learn how how to read is to deny them an opportunity for success. Reading is the most fundamental aspect of an education. It is unconscionable that anyone would think it’s too much to ask that a school teach a child to read. 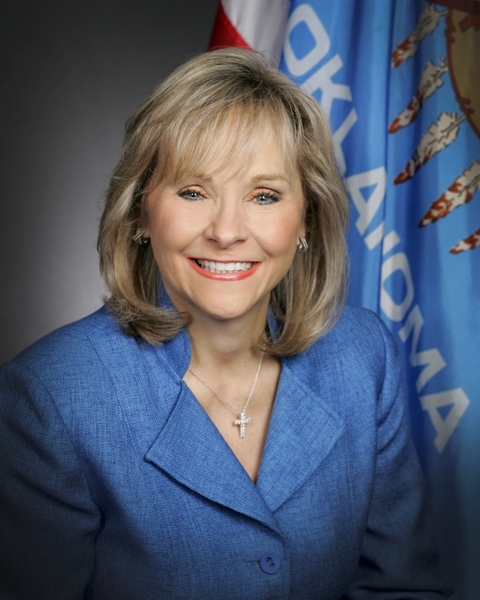 OKLAHOMA CITY – Governor Mary Fallin today released the following statement regarding the upcoming March 31 education rally to be held at the Oklahoma State Capitol. "I support more funding for common education and I appreciate teachers, parents and students being engaged on this issue. Last year I signed into law a budget that delivered over $120 million in new education money, by far the biggest increase in resources to any area of government. “This year I proposed another increase of $50 million in K-12 education funding increases, despite a $190 million budget shortfall that will lead to spending cuts at most agencies. “Providing adequate funding is vital to increasing educational attainment and student performance in Oklahoma. Equally important are the careful implementation and funding of education reforms focusing on accountability in schools, child literacy, and the creation of more rigorous standards in the classroom. Giving our teachers, administrators, parents and students the tools they need to succeed continues to be a top priority of mine." The Senate Education Committee passed by a vote of 11-0 an amended version of House Bill 3399 this morning. HB 3399 will next be considered by the full Senate. The measure would replace the Common Core English and Math standards with new, rigorous standards designed by the Oklahoma State Board of Education. It also protects against federal interference or control by prohibiting the state Board of Education from entering into any contract or agreement with any federal agency or private entity that would cede or limit state control. House Speaker Jeff Hickman, the author of HB3399, issue the following statement following the Senate Committee vote this morning. Sen. Josh Brecheen and Sen. Anthony Sykes issued the following statement after Monday’s unanimous vote in favor of HB 3399. The two lawmakers are Senate co-authors of the measure. “Again, I want to commend Governor Mary Fallin, Superintendent Janet Barresi, and Senate Education Committee Chairman John Ford who’ve understood the need for higher standards for Oklahoma students. HB 3399 will enable us to actually exceed Common Core, while making sure that those standards are developed and implemented by Oklahomans. I think Monday’s vote shows this was very important to the members of the Senate Education Committee as well.”—Sen. Josh Brecheen, R-Coalgate. “The unanimous vote on House Bill 3399 sends a strong message that the concerns of our citizens have been heard. This legislation makes sure Oklahomans are developing the standards and assessments we need for our children’s success, while preventing unwanted and unneeded intrusion by the federal government.”—Sen. Anthony Sykes, R-Moore. 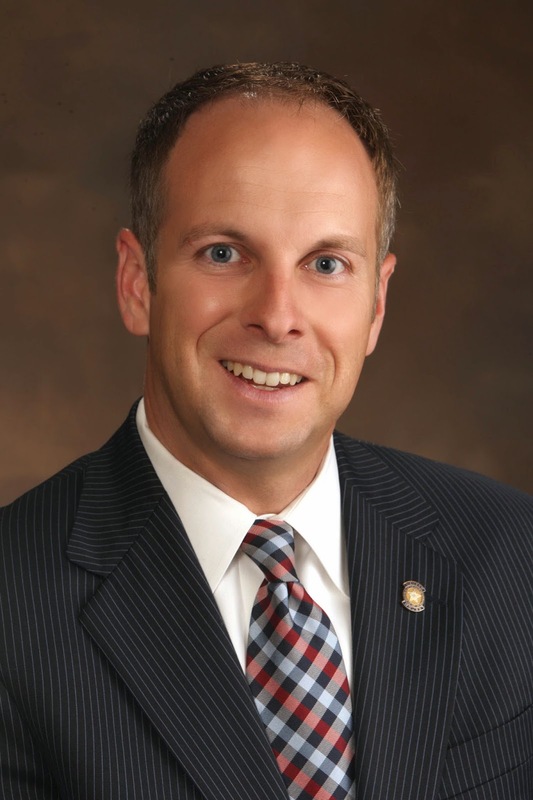 Rep. Jason Nelson, R- Oklahoma City, coauthor of HB3399 issued the following statement following the vote in the Senate Education Committee Monday morning. “The latest version of House Bill 3399, which passed the Senate Education Committee unanimously this morning, is a significant step forward for the academic expectations of school children in the state. “The Senate Committee Substitute for House Bill 3399 requires Oklahoma to develop its own independent college- and career-ready standards and assessments and protects the state’s sovereignty over our education system from outside control. “Some have criticized the legislation as a step back from higher standards and suggested that it puts federal funds in jeopardy. There is no basis in the bill for these concerns. 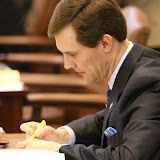 “The principles that have guided the drafting of HB3399 are protecting the state’s sovereignty over our education system, setting academic standards that exceed all previous standards - including Common Core State Standards, protecting the state’s NCLB waiver, and establishing a process for public comment during the development of new standards including comments from parents, educators, representatives of the business community and many others. “The bill is designed to protect Oklahoma’s NCLB waiver which provides greater flexibility in the use of federal Title I funding. NCLB waivers allow for state development of independent standards and assessments. HB3399 allows Oklahoma to take advantage of this option. The suggestion that Oklahoma will lose the NCLB waiver because of HB3399 ignores the fact that Oklahoma is currently not in compliance with the waiver because we have already pulled out of the PARCC testing consortium and TLE won’t be fully implanted on the timeline set in the waiver. Senate President Pro Tempore Brian Bingman issued the following statement after Monday morning’s vote, calling for the adoption of new English and Math standards. Governor Mary Fallin also released a statement following today's vote. “Raising education standards and increasing classroom rigor are essential to ensuring our children are prepared for college or to begin their careers when they graduate from high school,” said Fallin. “As we work to raise the bar in our schools, it is essential that higher academic standards are developed and implemented by and for Oklahomans. We have no interest in relinquishing control over education to the federal government or outside groups. Fallin had already taken action in 2013 to protect Oklahoma schools from federal intrusion, signing an executive order explicitly outlining Oklahoma's independence in implementing higher standards and student assessments (Read More: Governor Mary Fallin Issues Order Barring Feds from State’s Academic Standards). OKLAHOMA CITY – Governor Mary Fallin today commented on plans by the Oklahoma Senate Education Committee to consider House Bill 3399 on Monday. The measure’s intent is to provide for the development and adoption of new English and math standards and assessments while prohibiting the state Board of Education from entering into any contract or agreement with any federal agency or private entity that would cede or limit state control. “As a state, we must continue to raise education standards and increase accountability in public schools. Nothing is more important to the long term success of our children, nor as essential to our ability to compete in a competitive global economy that demands a highly skilled, highly educated workforce,” said Fallin. “As we work to increase classroom rigor and raise the academic bar in our schools, I have been clear that Oklahoma must take the lead in developing and implementing our own standards and assessments. To protect the principle of local control, and to resist federal overreach from Washington and the Obama administration, I signed last year an executive order outlining Oklahoma's independence in implementing higher standards and student assessments. The Senate Education Committee will consider House Bill 3399 on Monday. The measure provides for the development and adoption of new English and math standards and assessments while prohibiting the State Board of Education from entering into any contract or agreement with any federal agency or private entity that would cede or limit state control. Sen. Josh Brecheen, R- Coalgate, and Sen. Anthony Sykes, R-Moore, are Senate co-authors of the measure. Brecheen said the goal is to reduce the need for remedial classes after high school, helping more students successfully complete a college degree or Career-Tech certification. "I am glad that we are responding to the people and moving forward on this issue. It is time we put Oklahomans back in charge of educating our children,” Sykes said. Under the committee substitute for HB 3399, the State Board of Education would work with higher education and Career-Tech officials to adopt new English and mathematics standards by August 1, 2015. House Speaker Jeff Hickman is the principal author of HB 3399. House co-author of the measure is Rep. Jason Nelson. Under the legislation, school districts will have the exclusive right to determine instructional materials, curriculum, reading lists and textbooks. Jenni White is the president of Restore Oklahoma Public Education. "We are thankful to the bill's authors for their tireless work on HB 3399, and are truly grateful to House and Senate leadership for soliciting our input,” White said. “It will be a great relief to finally repeal the Common Core State Standards from Oklahoma law." Carolyn L. McLarty, Republican National Committeewoman for Oklahoma, joined White in her support of the legislation. "In supporting the Senate committee substitute to HB 3399, I am very pleased that our legislators have found a constructive way to come together, listen to input from the people, follow the intentions of the Governor’s executive order, and act to help protect Oklahoma students, teachers and parents from federal control of education,” McLarty said. The Senate Education Committee is scheduled to meet at 9 a.m. on Monday, March 24, in room 535 of the state Capitol. 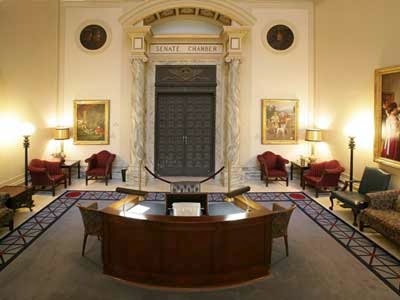 The Senate live-streams all floor sessions and committee meetings at www.oksenate.gov.